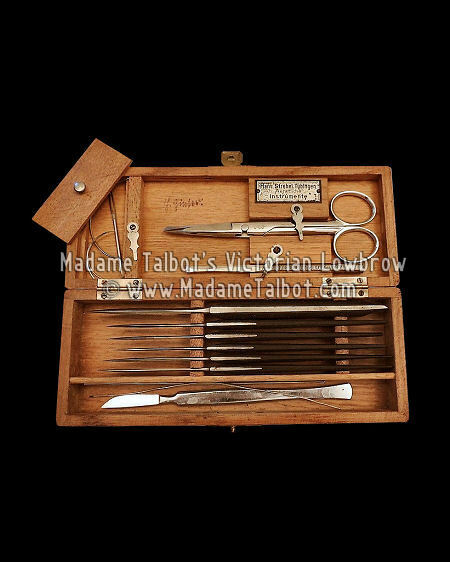 This is an antique Hans Strebel Tubingen dissection kit, circa 1870s. Kit includes original scalpels, chisel, scissors and needles. Six of the scalpels have wooden handles. Case and clasp is perfect. Case measures 7 and 3/4 inches long, excellent condition.